The northbound ferry will only leave for Lerwick in the early hours. FRIDAY’s northbound and southbound NorthLink ferry sailings are set to suffer delays due to the windy weather. The Hrossey is only expected to depart Aberdeen in the early hours of Saturday morning, with arrival into Lerwick in the early afternoon. 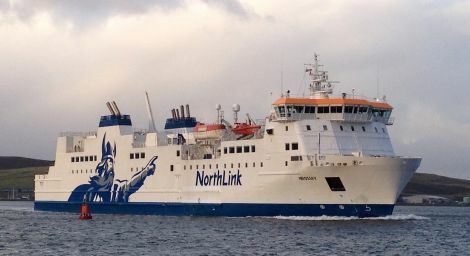 The southbound Hjaltland is set to arrive into Aberdeen on Saturday up to two hours late, with its Kirkwall stop-off shelved. Friday’s freight sailings are cancelled due to the weather, with the next trips scheduled for Saturday evening.